The books were taken to the McGraw Family Clubhouse Wednesday, where each kid was able pick out their favorite book to take home. ASB officers also treated them to some Halloween candy. Boys and Girls Club director of operations Michele Dano said getting a brand new book was a big deal for a lot of their kids. 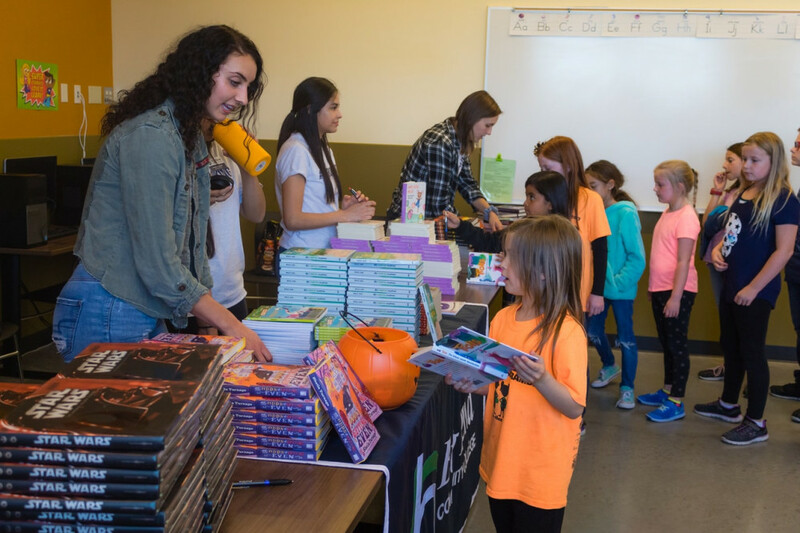 Books will also be taken to the club’s six other locations at Lakeview, Longview, Larson Heights, Midway, North and Peninsula Elementary Schools in Moses Lake. Dano said they will be used in their after-school Reading Clubs, a program they recently started at each of their clubhouses. This isn’t the first time the college has helped promote reading amongst grade-schoolers. Big Bend has also sponsored book donations at North and Larson Heights Elementary schools for the last two years. 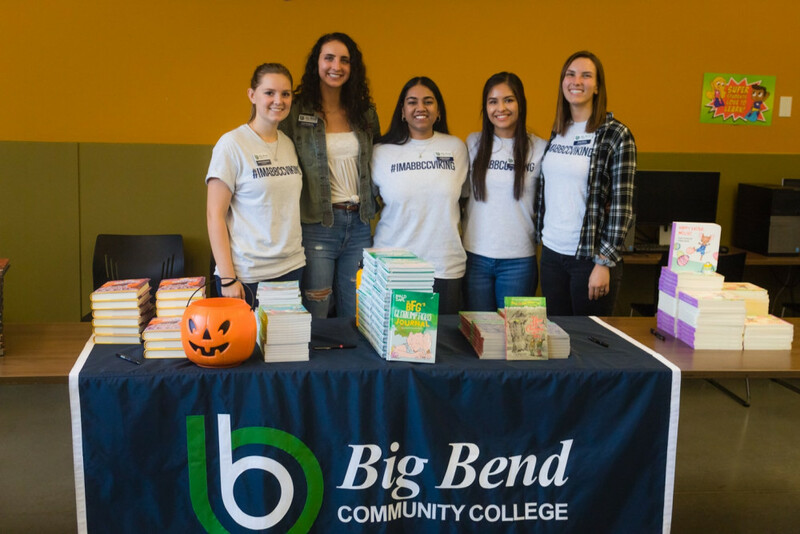 Photo cutline: Big Bend Community College ASB officers helped deliver more than 600 books to kids at the Boys and Girls Clubs of the Columbia Basin Wednesday afternoon.